What's the biggest candle you've ever seen? The one in my witch room has to be a contender, I would think. 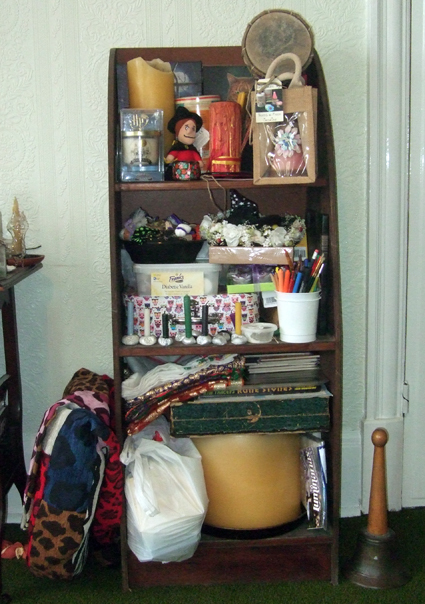 It has five wicks, its base takes up an entire tea tray and it almost fills the bottom shelf of one of my bookcases designed for large books. 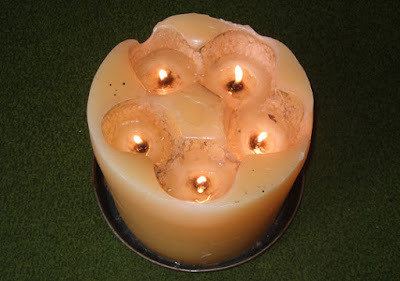 At one time there were two of these huge candles in my house as my hubby and I were both given one each as birthday presents back in the 1990s. Technically, this one is my hubby's. I used my candle more than he did. It was brilliant to burn in the centre of witchcraft circles indoors. As you can imagine, it lasted for absolutely ages. It was only about half burned down when I gave it away to save a bit of space. That's something I now regret, even though my hubby doesn't mind me using his one. ...what I’m actually talking about here are small candles specifically designed for quick candle spells. They are like miniature dinner candles – usually about 1cm wide and 5cm or 6cm long. They can be bought in a huge range of colours so you can pick one that suits the spell... The reason these miniature candles are so great for candle spells is that they burn down fast. Some will last half an hour or so, some less. You need a suitably sized candleholder to put them in while you burn them, of course. Back in Victorian times candles of this size were used on Yule trees before electric fairy lights were invented, and they still are in some places. Obviously this poses a massive fire risk and shouldn’t be attempted unless you watch the tree like a hawk and have a big fire extinguisher to hand. But for sitting around with friends telling ghost stories at Halloween, a big candle like the one in these photos is ideal. Even if we sit up watching the flames long past the witching hour this October 31, it should still last for many Halloweens to come. 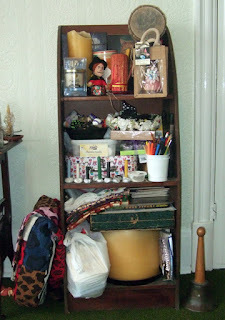 You can view Pagan Portals - Candle Magic on Amazon or buy copies at Treadwell's.